Animals' lives tend to follow a quicker tempo as they get farther from the equator—birds at more northern latitudes mature faster, start reproducing younger, and live shorter lives, probably as a way of dealing with seasonal variation in resources. A new study from The Auk: Ornithological Advances shows for the first time that this pattern also plays out in birds' feathers, with northern birds completing their annual molt faster to keep up with the demands of life far from the tropics. Louisiana State University's Ryan Terrill looked at museum specimens of four bird species with ranges that span a wide swath of latitude in both the Northern and Southern Hemispheres. Slight differences in feather growth between day and night during birds' annual molt produce visible pairs of light-colored bars, each pair representing 24 hours' growth. Terrill could determine the rates at which individual feathers grew by measuring their spacing. 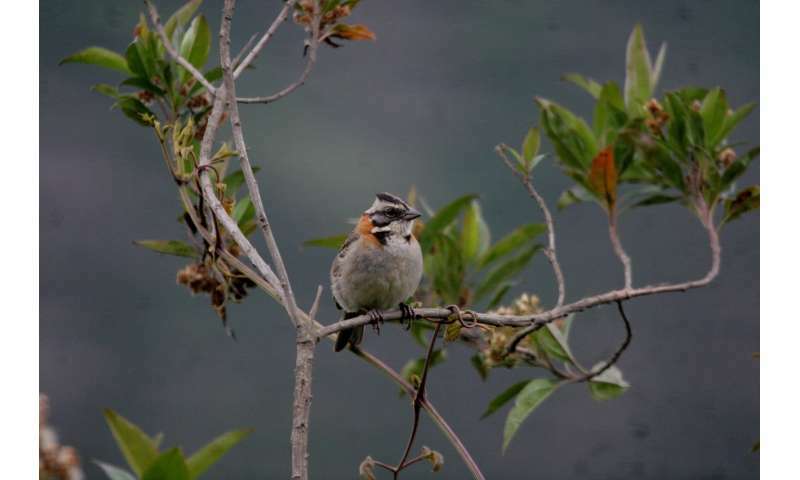 He found that for all four species, individuals collected at higher latitudes had grown their feathers faster. Terrill sees two potential explanations for this pattern, which aren't mutually exclusive. First, where the availability of food changes with the seasons, birds may need to molt faster so that they have the necessary resources. Second, because birds at higher latitudes tend to be more invested in producing offspring than in extending their own survival, faster production of lower-quality feathers may be an acceptable tradeoff. "Working with museum specimens was a lot of fun," says Terrill. "One of my favorite things about museum specimens is using them in ways that other folks might not consider, and especially using them in ways for which the original collector couldn't have known they might be useful. 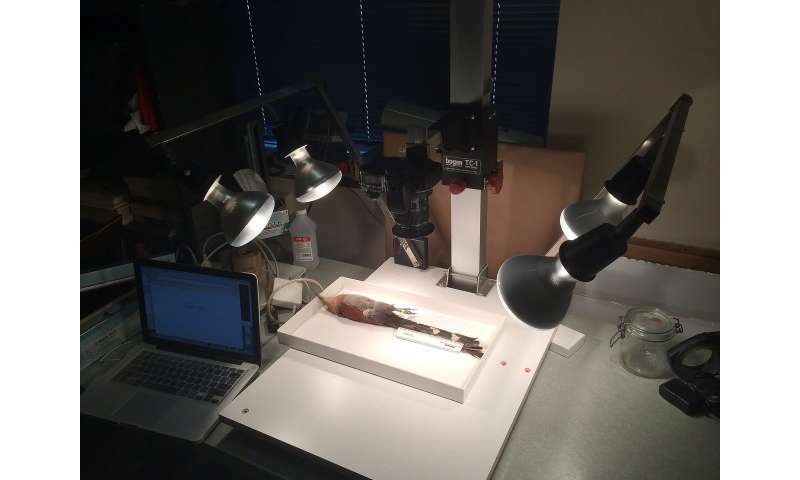 It wasn't until recently that many people considered that how feathers grow might be important for birds or realized that you could measure feather growth rates on specimens, and I hope this study will publicize yet another way that museum specimens are useful for understanding birds." "Most aspects of avian molt, with the exception of feather-replacement sequence, are thought to be rather flexible. The timing, location, and extent of molts appear to respond quickly to environmental constraints, even within populations of the same species occurring at different latitudes, as either permanent or winter residents," adds the Institute for Bird Population's Peter Pyle, an expert on bird molt patterns who was not involved with the study. "Yet molt strategies remain vastly understudied compared to other avian topics such as breeding, migration, and behavioral responses. This paper shows that a fourth component of molt, feather growth rate, also appears to vary, with equatorial populations showing slower molt intensity than those of higher latitudes. The author ties this nicely in to other studies suggesting a decelerated pace of other life history traits in less seasonal environments, perhaps as a function of slower basal metabolic rates." What limits the size of birds?